How to Get Started Investing in Real Estate! The Beginning Investors Group Online (The “Big O” or BIGO) is an new online educational group that currently meets on the 4th Wednesday at 7PM ET for new investors who are just getting started in real estate investing as well as “new again” real estate investors who’ve taken a few years off and are looking to get back in the game. Don DeRosa will help us kick off our first meeting of the Beginning Investors Group Online on Wednesday, April 27th at 7:00PM ET. 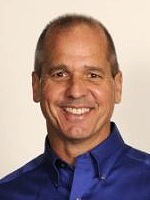 Don is a full-time, active real estate investor, mentor and trainer who specializes in all types of real estate investing such as wholesaling, creative financing on pretty house deals, rehabbing and retailing, rentals, short sales, foreclosures, new construction, private lending and much, much more. Join Don at BIG Online as he teaches you the quickest and easiest way to get started in the real estate investing business with limited time and funds. TO ATTEND ONLINE: To attend the Beginning Investors Group Online via your PC, smart phone or tablet, Register Here for the Meeting on GoToWebinar.com and you will be emailed login instructions for the event. If you want to learn more about Wholesaling, watch this Webinar Replay we recorded live with Don DeRosa on April 13th, 2016 where he shared the Wholesaling Strategies you need to succeed and take you step-by-step through the entire wholesale process. How to Make Impossible Deals Possible! Then what to do with it? 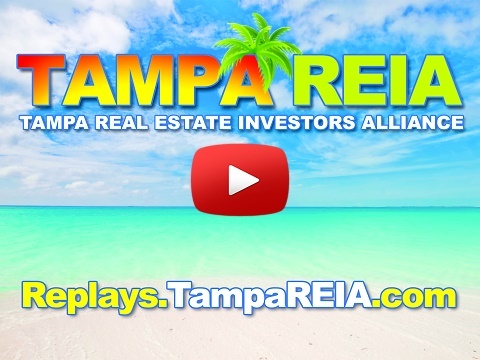 Join us at the Tampa REIA Main Meeting on Thursday, April 14th at 6PM where real estate experts Bill Cook and Pete Fortunato will be there to help answer those questions. The meeting will take place at the Doubletree Suites Tampa Bay located at 3050 North Rocky Point Dr West in Tampa, FL. This won’t be some theory meeting. It will be ALL meat-and-potatoes information – one creatively constructed real-world deal after another! You’ll see deals that Pete and Bill have done without borrowing from a bank. You’ll watch the fastest, cheapest and most effective way to get face-to-face with sellers. You’ll find out what to “say” to sellers at the kitchen table. You’ll learn the best and safest way to stick your toe in the water. Together, Pete and Bill have been investing in real estate for more than 70 years. Both are masters at meeting with sellers and creatively constructing win-win deals. If you want to find out what real estate investing is truly like – how deals really get done – then this is your gotta-be-there meeting!!! All this is happening at the Tampa REIA Main Meeting on Thursday, April 14th at 6PM at the Doubletree Suites Tampa Bay located at 3050 North Rocky Point Dr West in Tampa, FL. We are looking forward to seeing you at the meeting! And then, if that is not enough, Bill will be back on Saturday to teach you all day about creatively structuring deals and talking about “What Box?? ?” You will not want to miss either of these information packed meetings! WIN A 4 NIGHT STAY IN CANCUN: All participants who attend the Tampa REIA Meeting will be entered into a drawing for a chance to win a *Complimentary 5 Day, 4 Night Stay in Cancun! *You must be present at the meeting to win. Giveaway does not include dining, transportation, transfers, taxes, upgrades, etc. Real Estate Investors in the know, understand that to be successful, it’s NOT about working outside the box. It’s realizing that THERE IS NO BOX! Be sure to join us on Saturday, April 16th at 9AM at the DoubleTree Suites Tampa Bay at 3050 N Rocky Point Dr W in Tampa, FL for a Full Day Workshop with Creative Real Estate Expert, Bill Cook. At the Workshop, Bill is going to help you think through deals that seem impossible and show you how all deals are possible! This nothing-else-like-it seminar was born with a phone call. Bill Cook was working a deal that had six moving parts. Trying to simplify his offer, Bill called his good friend Pete Fortunato. Pete helped Bill construct an offer that reduced the moving parts from six down to two. The seller accepted Bill’s offer! 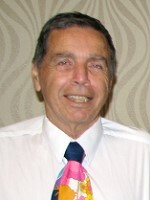 Afterward, Bill wrote a newspaper column titled: Pete Fortunato – The Greatest Outside The Box Thinker. When Pete read Bill’s article, he sent him a two-word email. All it said was: What Box? The lesson: All deals are possible – There is no box! An investor’s two most powerful tools are curiosity and imagination. If kept in a box, both will die! To thrive, your curiosity and imagination must be allowed to run free so they can creatively construct and fund win-win deals. Remember: Deals aren’t found. Opportunities are found. Deals are constructed! One of the biggest problems investors face is trying to put together deals using boilerplate thinking and boilerplate documents. Sadly – for most investors – if the square peg isn’t fitting in the round hole, they give up on the deal. Their inside-the-box thinking keeps them from achieving the huge success that’s right at their fingertips! How do you make impossible deals possible? How do you creatively construct and fund win-win deals without going to banks? What’s the fastest, cheapest and most effective way to get face-to-face with sellers? What’s the most important thing you see at a seller’s home? Why do sellers NOT want cash? Why do single-family homes make the best rentals? How can you get an 80% yield from a mobile home? Why is the deal after the deal so important to future wealth! What types of deals are working in today’s market? Why is real estate investing a team sport? Get all this for a mere $49 per person for Gold Members, $69 per person for Silver Members & $99 per person for Non-Members and Guests. PLEASE NOTE: Workshop prices will increase to $69/person for Gold Members, $89/person for Silver Members and $129/person for Non-Members and guests after early registration expires, so register now and save! Download the April 2016 Edition of The Profit Newsletter Now! The April 2016 edition of The Profit Newsletter is now available for download as a High Quality PDF (print quality) or Low Res PDF for mobile devices. The Profit Newsletter is the official newsletter of the Tampa Real Estate Investors Alliance and is a digital, interactive newsletter for serious real estate investors delivered as an Adobe PDF file to read on your computer, tablet, or smart phone with a PDF reader. Many of the articles and ads in The Profit contain hyperlinks you can click to get more information online. The high res version of The Profit is “print ready”while the low res version may load faster on your mobile device. Also, be sure to Subscribe to The Profit so you don’t miss a single monthly issue. First though, we have to take a valuation first approach to every transaction. Knowing the true value before you buy is huge. One of the most common investment strategies using real estate comps by REIAComps some investors are accustomed to is ‘flipping’. This is a way you can make a very quick profit. If you see you can get a property rehabbed quickly and move on, flipping is ideal. Frankly, if quick profits are what you want, then flipping can be the way to go. I have written dozens of articles about the massive mortgage swindle the banks pulled over on us. The article that generated the most response was one I wrote in 2013 in which I detailed how Countrywide created 3.5 million fraudulent mortgages. They did it by creating a trade name (DBA) called America’s Wholesale Lender (AWL) that would write loans for them in all 50 states. Well, it took a little while, but we finally have a court ruling that could demolish the America’s Wholesale Lender scheme! For those of you who don’t know the origins of this scheme, it all started with Countrywide trying to save some money. In order to avoid the licensing fees, corporate taxes, and regulatory costs that each state charges a company looking to operate within its borders, Countrywide created the trade name America’s Wholesale Lender, which they registered in each state. Then they got to work writing mortgages. The problem with this scheme is that a trade name is not a legal entity. It has no ability to own property, file lawsuits or hold security interests. When I invest in a property I do my research. Long ago that meant doing the fancy footwork or being active. Going to open houses, going to model homes and condos, making phone calls, and looking at advertisements in the area where I was planning to buy. Comparison shopping was a far greater task before we had smartphones and apps to help us organize all the information at a glance. Zillow Renter’s App is ideal for those of us who invest in real estate on a regular basis. Flipping and selling is a rewarding experience but you need to do your homework. I use Zillow’s App to see what other homes are selling for, what other properties are renting for, compare that information to what my budget is for a flip. Today, social media is the big thing many real estate professionals use to market for business, at least it should be. Everyone is Facebooking, Tweeting, Blogging, Vlogging, hash tagging, etc. but how many of you still make it a point to go out and do mass socializing face to face. When was the last time you went to a happy hour, a luncheon, and/or door knocking? Yes I said door knocking. In no way am I taking anything away from online social media but it works better when done in collaboration with face to face interactions. Today everyone is focusing on online branding and marketing. Everyone claims to be the best in their field and some go as far as to make claims they cannot prove. So what do you do to stand out? Obviously, the number one thing to do is keep all those promises your marketing makes and collect testimonials. If you want to solidify your position in your marketing area or dominate your niche you want to get out there and let yourself be seen. 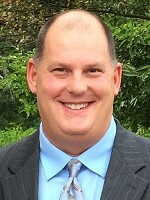 Don DeRosa will help us kick off our first meeting of the Beginning Investors Group Online (BIGO) on Wednesday, April 27th at 7:00 PM. Don is a full-time active real estate investor, mentor and trainer who specializes in all types of real estate investing such as wholesaling, creative financing pretty house deals, rehabbing and retailing, rentals, short sales, foreclosures, new construction and much more. Join Don as he teaches you the quickest and easiest way to get started in the real estate investing business with limited time and funds. We look forward to seeing you on the Beginning Investors Group Online! 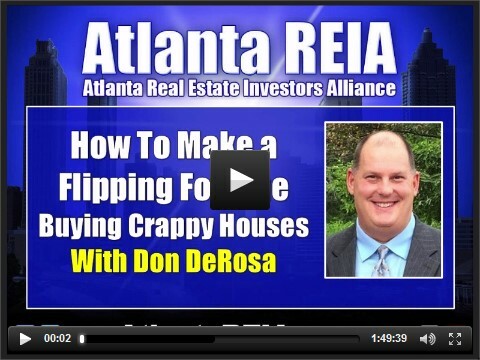 Watch this Webinar Replay we recorded live with Don DeRosa on April 6th, 2016 where he shared many of his subject-to strategies, tools and techniques he uses every day to create winning deals for himself as well as his buyers and sellers.